Do you slow down when driving in areas where people are working as the roads signs ask you? Many drivers don’t, to their regret. It might come as a surprise, but four out of five fatalities in highway work zones are drivers and their passengers. The admonition is worth repeating: Slow down; the life you save will probably be your own. March 23-27, 2015, is National Work Zone Safety Awareness Week. The objective is to strengthen awareness on the part of both highway workers and the driving public of highway work zone safety and health issues. Drivers need to be particularly alert when traveling through highway work zones. When a road is not in its usual condition because of work being done on it, it’s just common sense to slow down. Fines for speeding double in work zones when workers are present. Again, common sense says slow down. Work zone crashes are dangerous to both highway workers and motorists. Most work zone crashes are rear-end collisions, resulting from speeding or inattentive driving. We urge motorists to use caution when traveling through these zones. Be careful – please. 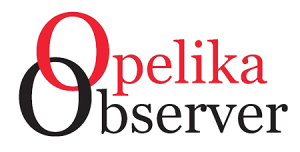 Previous articleOur view: Socialistic republic of Alabama?